Most pictures will enlarge if you click them. 1. 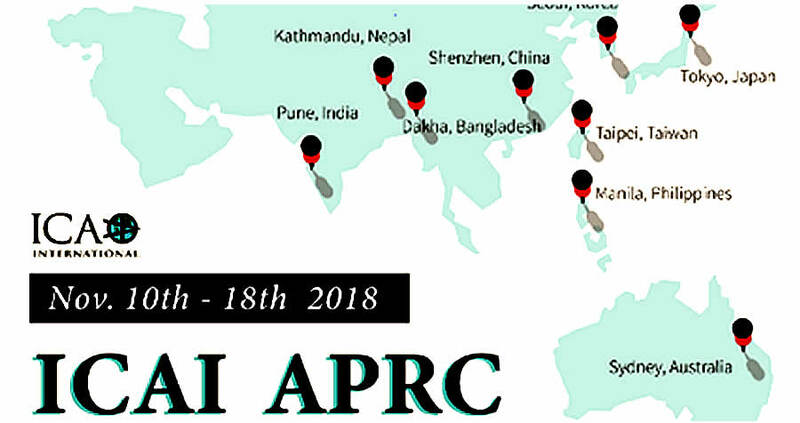 ICA APRC: ICAI Asia Pacific Regional conference. 2. Sustaining Non-profits in an unsustainable world. 3. 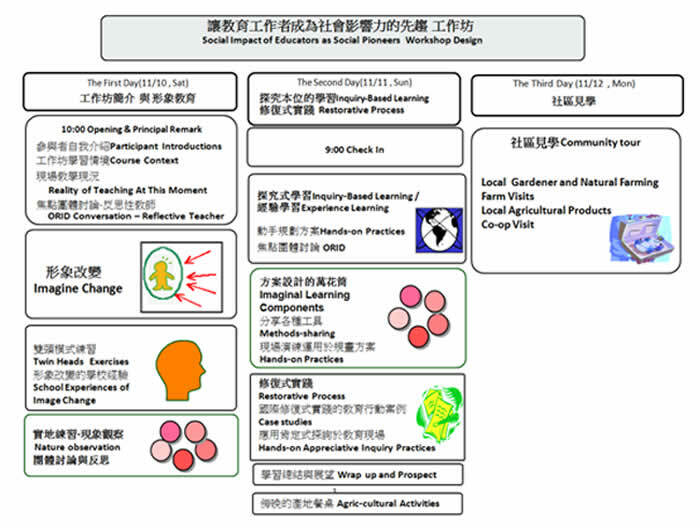 Reflection on Educational Impact in Taiwan. 4. Social pioneering for Educational transformation! 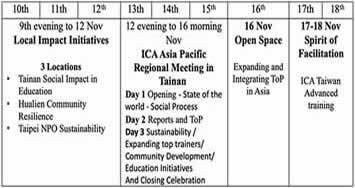 ICA Asia Pacific came to Tainan for the ICAI Asia Pacific Regional conference. 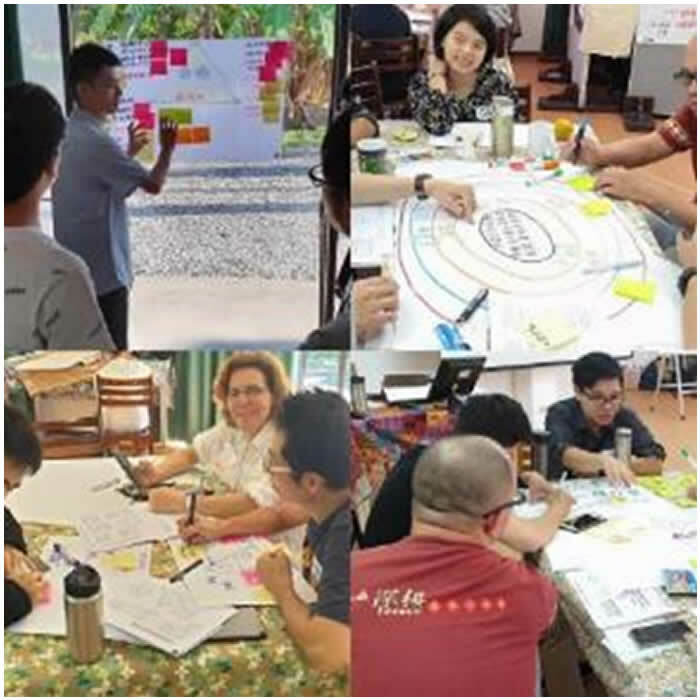 It began with an opportunity for research and dialogue, an opportunity to learn from and with Taiwan communities and ended with an opportunity for ICA to explore our purpose, mission and strategies. 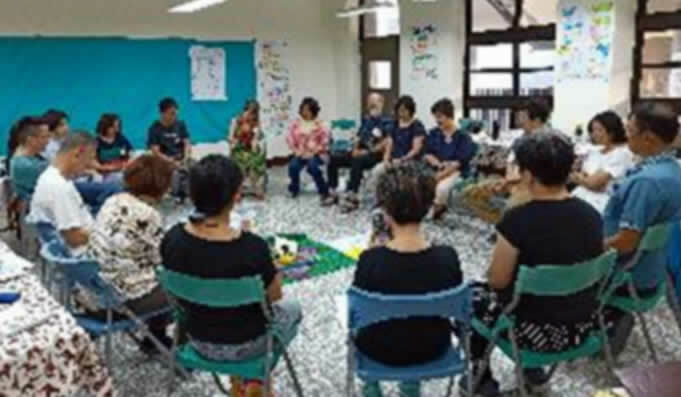 •	Tainan Social Impact in Education – 30+ teachers and principals gathered in a school ICA Taiwan and colleagues have been working in for several years. 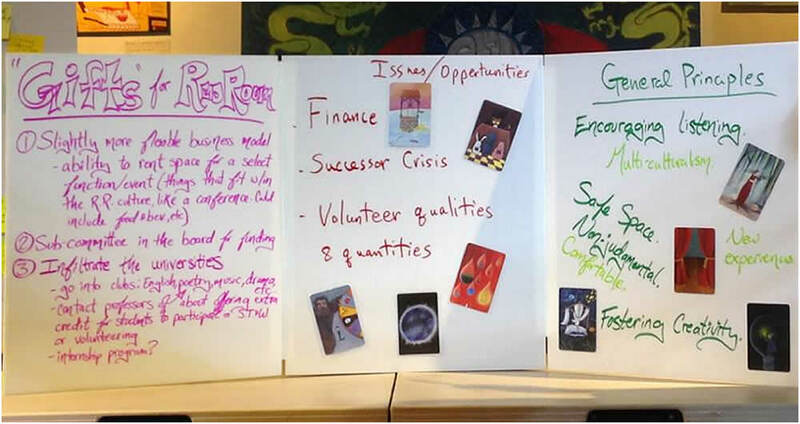 The focus was Social Impact through three explorations: 1) image change; each session, to a certain degree, openly invited participants to bring in life stories and surfaced each other's life philosophy through a deep listening and dialogue process, This enabled participants, and to experience the value of imaginal learning in a self or professional context. 2) Applying Restorative Practice processes in the educational setting, and ”how do we lead a dialogue in a classroom that deals with despair and loss”? 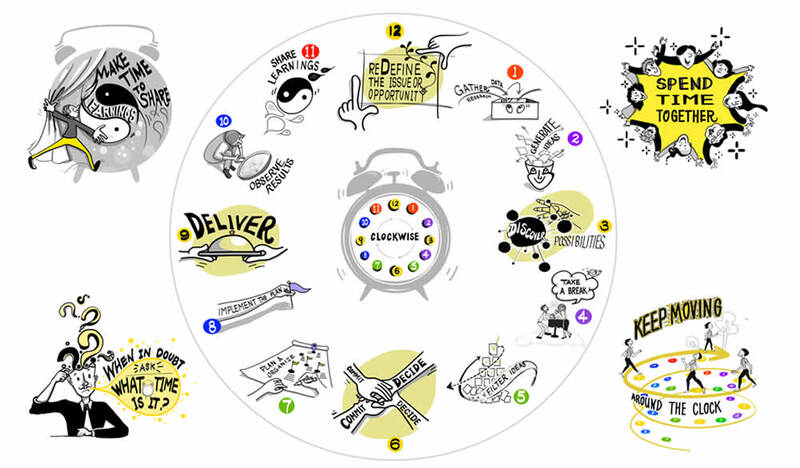 3) Exploring the challenge of designing ‘inquiry-based’ and experiential learning opportunities, helping to shift images in education with all ages. 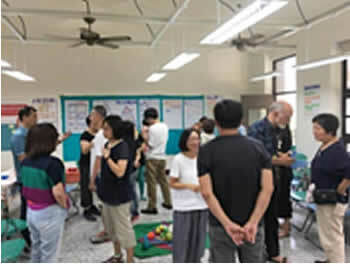 •	Hualien Community Resilience – This research event focused on connecting Asia to Taiwan community development. We worked with 9 different community and student projects in and around NDHU university in Hualien. 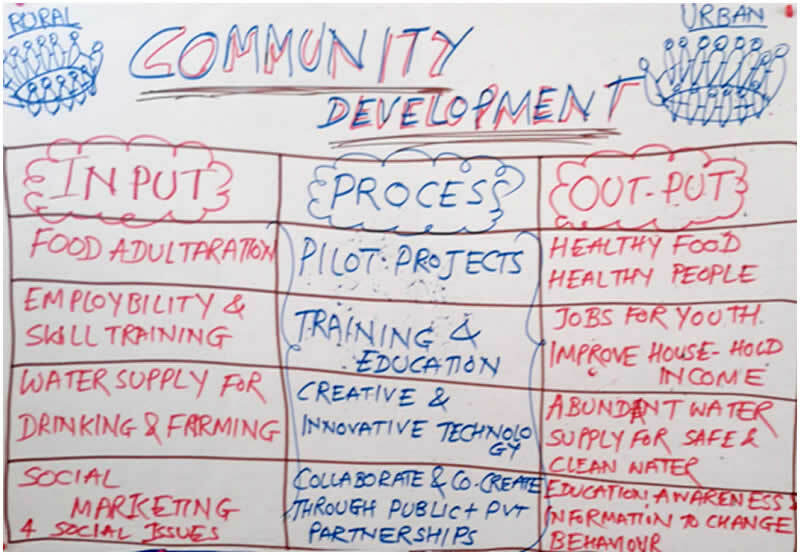 In the process we were able to engage the group in facilitation as a method to constructively reflect and plan for future development. 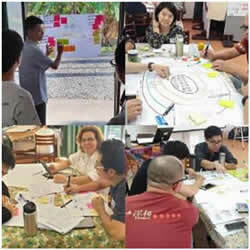 •	Taipei NPO Sustainability - The Red Room Taipei hosted a thinking forum on this topic over 3 days. Three days of sharing personal stories of transitioning from passion to sustainability. The groups very quickly identified that this was not too different to what sustains an organization -forwardplanning, having an exit strategy, what legacy is to be left and how to do that, deep listening, developing leadership teams, not being dependent on any one or two people, the initiators nurturing the new leadership, and moving onto other roles, at the right time. Red Room became a living case study on this topic. Key players shared their story of transitioning from an informal monthly “Spoken Word” gathering to a NPO with a location and paid staff. It was soon clear that the Red Room had already set in place the strategies of moving forward into an unknown future. 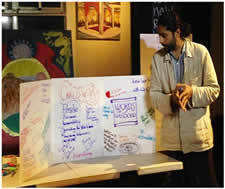 Caption above: Curator of Red Room, Manav Mehta, presents his team’s learnings. The core event was our conference in Tainan from November 12th t 15th where over 30 colleagues from ICA and ICA Associates worked to share and explore the future. ICA’s represented were India, Japan, Australasia, and Taiwan. ICAI Associate members included ORP from Korea, Leadership Inc. from Shenzhen and ICAA from Philippines. ICA Bangladesh and Nepal were not able to attend. We asked, what would you add or change to these? Each ICA is happy with local practices → Do we really want to change? Should we add a value about networking / sustaining others and ourselves? Re-evaluate our practical values for ICA Associates to be fully recognized (Now some ICA Associates are stronger than ICAs). Current rule only 1 ICA per country needs to be reconsidered. (Original was 54 areas, all one world) Why? Are we writing the values for a movement or an organization? New generation have different ways to organize for the future. Are we fit for the future? How do we need to change? What is the core value of ICA? What can be changed? Need to be more aggressive in talent pipeline if we are to ensure succession. Top Trainers 26 now that are recognised in Asia Pacific. What do we need for future? 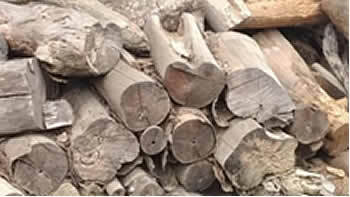 We have a global brand (confused) (TOP) + local brand – need to look at developing commonality, ensuring quality. 1. 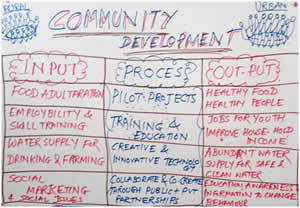 Work to formalize a community development equivalent to the CTF to recognise differences in rural and urban delivery. 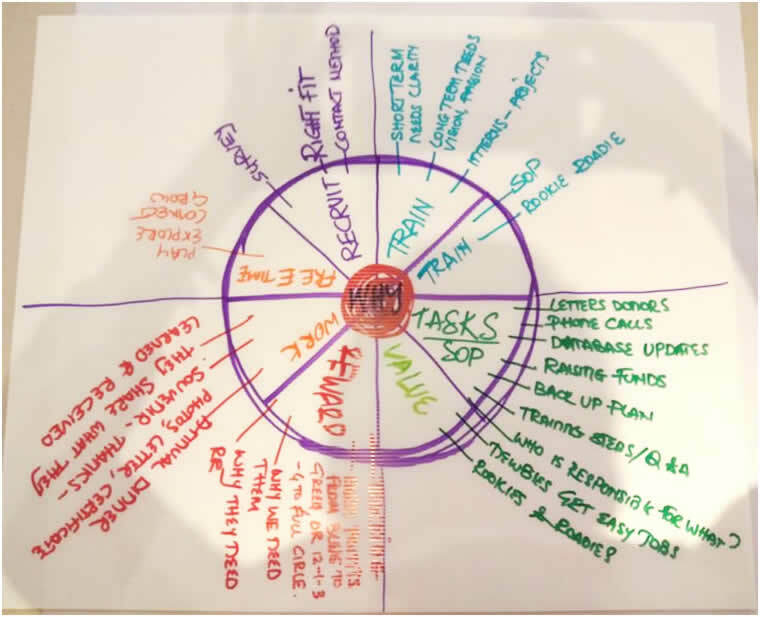 Trainer assessment processes vary between ICA’s and it would be desirable to develop a common, recognised trainer assessment platform that enables ICA’s to have confidence in trainers recognised in other ICA regions. Assessment on effectiveness of ToP methods is a matter that needs further attention, e.g. through regional online dialogues. Any company can be authorized by a statutory member to market ToP programs. There is confusion about ICA Associates (private companies recognized by a specific statutory member) and ICAI Associate (organizations affiliated with ICA or on a journey to be a statutory member who have no automatic relationship to ToP. Four locations have specific extended curriculum offers – USA, Australia-NZ, Taiwan and Canada. 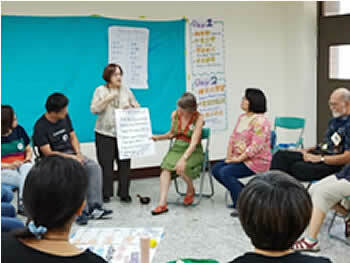 Others offer regular public training of two or three courses: Taiwan 8 Courses/ Australia 7/ Canada / US multiple. How to quickly let more people be interested in ToP and have confidence to do the work? With 18 participants: The Red Room Taipei hosted a thinking forum on this topic over 3 days, as part of the ICAI APRC 2018 Conference in Taiwan. There was a welcome dinner and celebration held on the 9th evening as a prelude to the pre-conference held at the Red Room from 10-12 November. 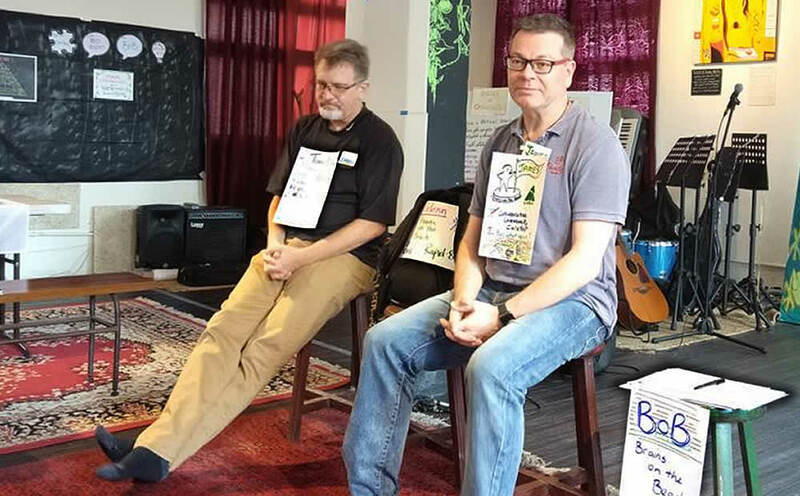 Jimbo Clark and James Bishop from Brains on the Beach (BOB) together with Frieda Lin, facilitated 3 days of creative thinking. The first day began with small group discussions sharing personal stories of transitioning from passion to sustainability. The groups very quickly identified that this was not too different to what sustains any organisation… forward planning, having an exit strategy, what legacy is to be left and how to do that, deep listening, developing leadership teams, not being dependent on any one or two people, the initiators nurturing the new leadership, and moving onto other roles, at the right time. On the afternoon of the first day, Red Room became a living case study on this topic. Key players from the Red Room shared their story of transitioning from a monthly spoken word gathering to a NPO with a location and paid staff. It was soon clear that the Red Room had already set in place the strategies of moving forward into an unknown future. 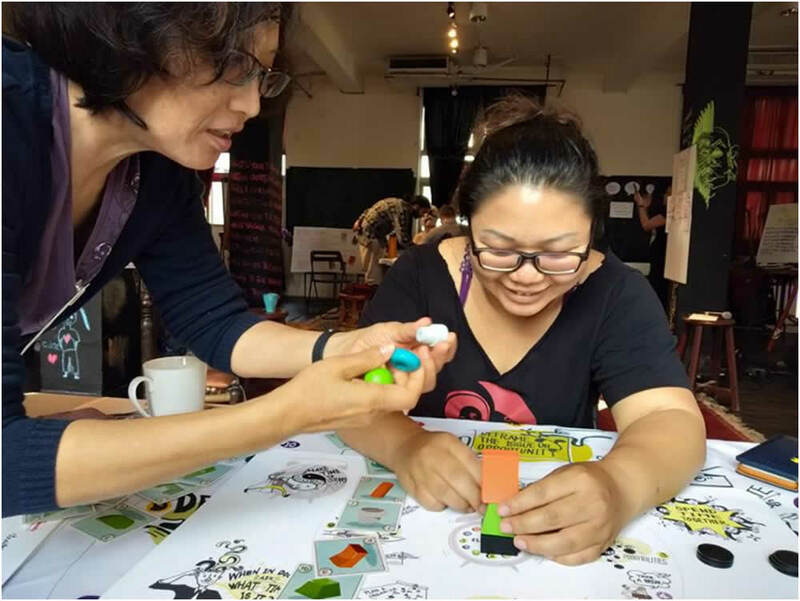 With nine years of impact on the creative arts world of Taipei, Red Room has been steadily building community, and bringing together people from all walks of life in a safe environment to learn, grow and experiment together. The leadership was well aware of the need to continue to grow the organisation in new and different ways, and sought the group’s input on this future direction. Each of the representatives of the Red Room team shared their individual journey with Red Room, after which the smaller groups discussed Gifts, Challenges and Guiding Principles and presented their findings. This openness and honesty set the stage for creative thinking over the following two days. 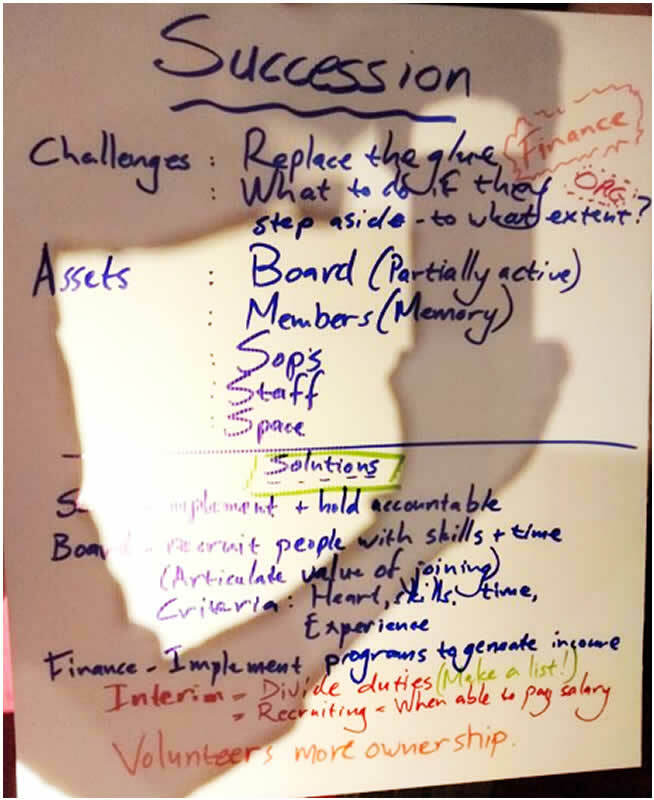 On day two, the spirit behind Brains on the Beach was shared and the group formed into teams focusing on a common touch point of sustainability. BOB presented Clockwise, the BOB Co-Creative Process; a game that allowed teams to work together to design, analyze, and implement a project. 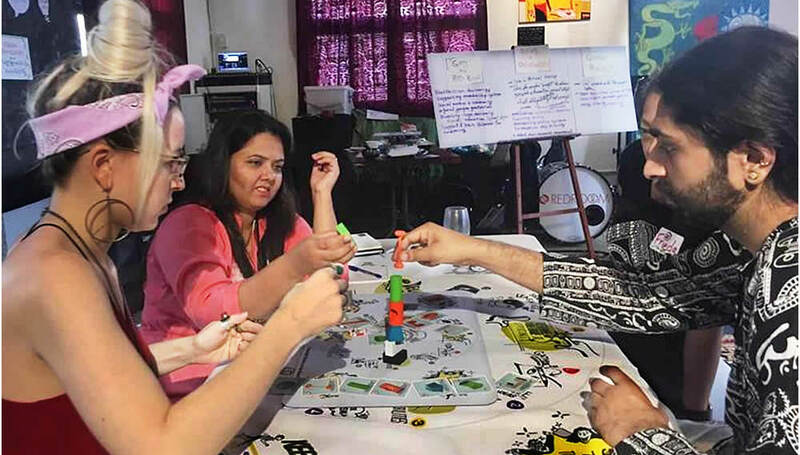 This creative approach was a challenging yet fun way to discern the various energies in a group that could be harnessed to achieve the best possible solutions. The best ideas were shared in “marketplace of ideas” where teams look to create buy in and support for various methods for change. The closing day brought time for individual reflection on the learning of the past two days. Each person made a board sharing their own commitments and requests for support. 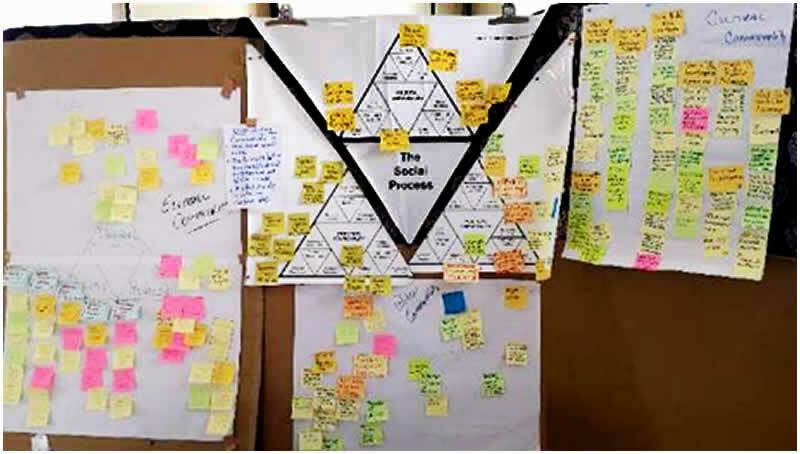 The Red Room team worked together to consolidate clear and cohesive approaches for the future of the organisation. Outreach, volunteer management, and succession were on top of the list of tasks to address. Facing the real question of sustainability in all our organisations was also a theme of the APRC in the following 3 days in Tainan. 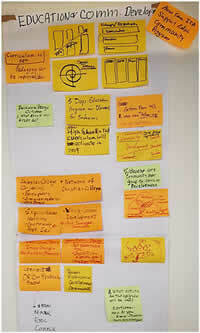 Similar factors were identified, and helped organisations present build their own strategies for moving forward. Social pioneering for Educational transformation! In early November, the weather was just like a summer day in southern Taiwan. 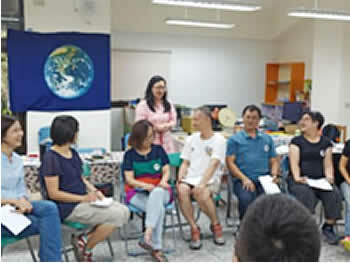 Principals of the elementary, middle, and high schools, as well as the teachers from primary to senior high school and Community University practitioners gathered at Zoujhen Elementary School, to promote village education in Tainan, from North, Central and Southern Taiwan. 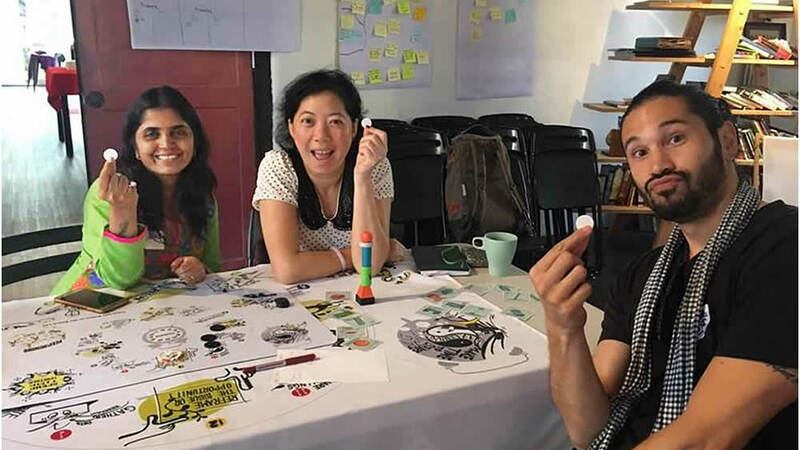 This Education Workshop took nearly 6 months of intensive preparations collaborated by Evelyn Philbrook, Robyn Hutchinson, Loren Weybright, Eric Tseng, Paulina Chu and Yahui Fang. 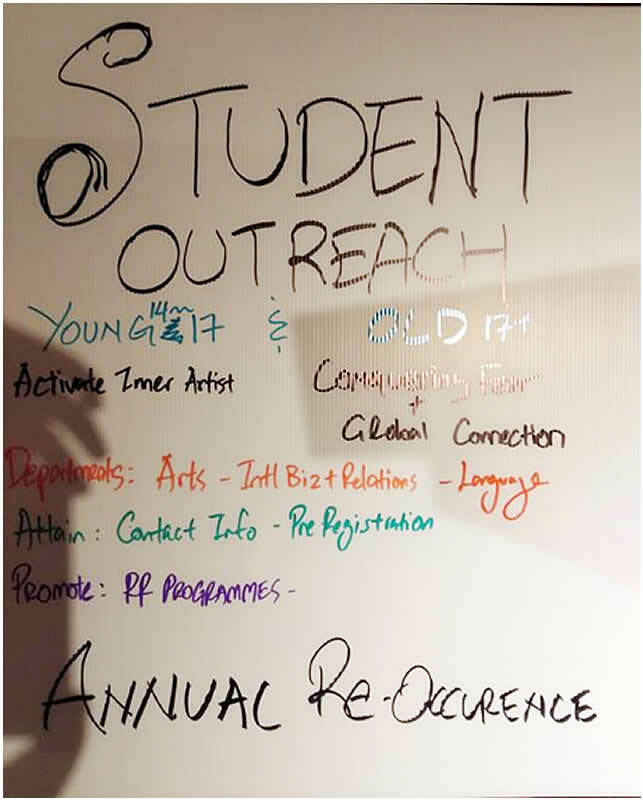 This work was grounded in previous local and rural school engagement by Yahui and Eric since 2016. Eventually, up to 35 members participated. The workshop started with an opening invitation to participating educators to trace back the teacher who once inspired his/her life (and be motivated to become a teacher). The opening of deep dialogue and learning that support each other's self-exploration in the group, as well as creating a safe environment supporting them to portray their image as educational pioneers. 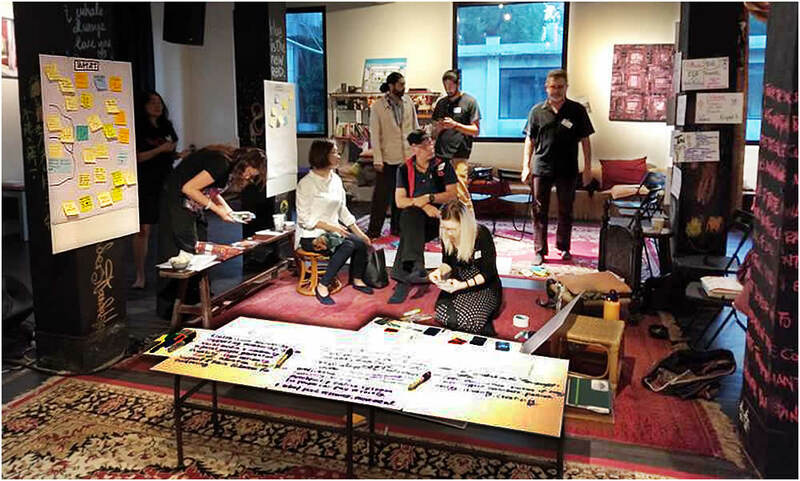 The Kaleidoscope and Image Shift contexts broke open group exercises of possible new innovative curriculum, created and reported by the participants themselves. In two days of workshop, each session, to a certain degree, openly invited participants to bring in life stories and surfaced each other's life philosophy through deep listening and dialogue process, and support clarification of the value of self-professional practice through hands-on experiences on imaginal learning. In the first day Nature Observation session in the afternoon, the teachers took a walk in silence. Walking through the demolished area in campus, some members searched for a sprouting point in plant and found enlightened to see it whispered to their inner world. The next day, we invited reflections from participants. They talked about possibility of opening up image changes through the Image Shift exercises, (Old behavior to New behavior, Old Image to New Image, Old Values to New Reframed Values, and Old messages to New messages and New story and behavior). In the addition the meditation in phenomena observation walking activities, plant observations and echoes of inner vision. One colleague recounted the journey of truth telling and healing (restoration or rebuilding relationships) that Australia is still on in recognizing its First Peoples – the Indigenous people of Australia. This shift in mindset (or image shift) is happening through major emphasis on education and advocacy with the population on the true history of the country. An historical example of this, was the abandonment finally of the White Australia policy. This was a breakthrough of societal image change! Society at large is still on this journey of shift in mindset or ‘image change’ (treating all as equals) with First Nations Peoples of most countries, much like the aboriginal indigenous tribes of Taiwan. Every day, a participant brought a real subject which just happened to the educational scene of the group. The first day was a school principal from a neighboring village. He had just finished visiting a student’s family whose father died in an accident and therefore suffered from financial problems. The school principal shared this story while making his self-introduction. He also expressed his worries and despair publicly. The next morning, a teacher received a message of her best friend’s death and felt devastated and couldn't stay in workshop and left instantly with other teachers. Members in the workshop also co-sensed and emphasized the unexpected trauma. 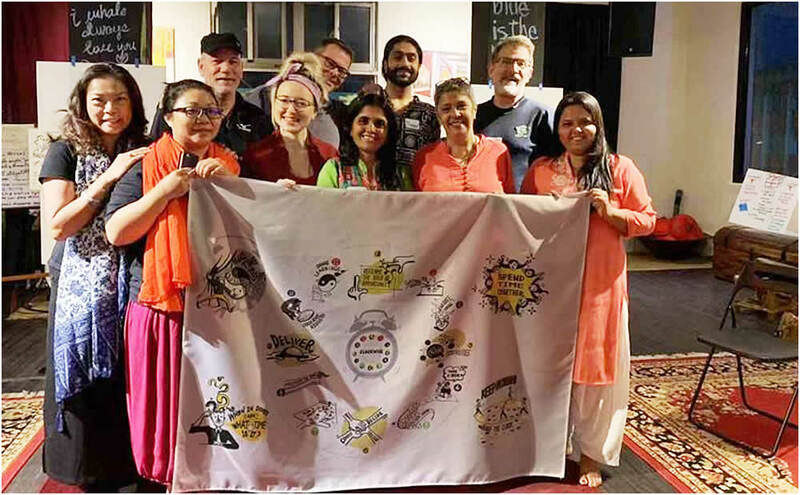 It is seems shared emotions and feelings of these accidents conveyed a profound connections that turned the workshop (a classroom environment) into Field of Life. Then, in the context of working with restorative practices, the group dialogued using a restorative conversation process with a topic of ”How do we lead a dialogue in classroom that deal with despair and loss”? Participants constantly found that they could apply principles of restorative process (rather than punitive or blaming processes to all aspects of life). 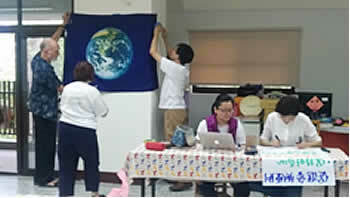 The three days’ event were successful because of comprehensive support from Zoujhen elementary school faculty. The third day is a community visiting tour that was organized by Zoujhen Elementary School Principal. We visited a small farmer devoted to natural friendly farming and a gardener committed to preserve rare and valuable plant species, and finally an agricultural Co-Op. After the tour visit, we returned to Zoujhen elementary school (where the workshop was held) and donated some money to support transportation expense of school bus and also to the family in need. Principal Lee immediately contacted that principal and also offered more support for applying for emergency assistance. After the end of the circle with talking stick, and appreciations exercise for all the participants and facilitators, the workshop was implemented and finished. Nevertheless, encounters with deep loss and that surfacing real life issue and struggles, were embedded into teaching practices and no longer staying out of the way. Teachers were enrolled and motivated to "being present" and "being now", furthermore, transient their education actions to more collaborative and empathetic actions for hope: Heading towards to a teacher's image that desired to become a social pioneer with tender heart. 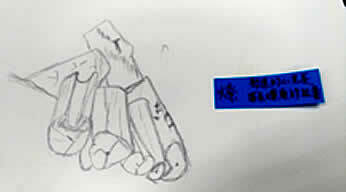 Two weeks after Education workshop, I, Yahui, was injured on the way to the school. The accident called forth sense of pain, also I recalled the memory of a similar accident happened when I was a little primary schoolchild. The accident of now and memory of accident in the past raised my awareness of ‘the flow of time’. At the same I had been in the journey of developing teacher development program for two months, by way of tracking hundred years of human development and exploring the calling of "education of now" and "education for the future" from perspective of Anthroposophy. My whole being is called. The accident seemed to open a doorway, making my personal experience (from physical body and my past experience that constitute part of me) meet my education work in larger scale (school/regional/national-especially after Nov elections and public polls/Asia-pacific/worldwide). It is a healing process as well as a spiritual journey. It is a stance of being grounded in myself (micro universe) and the same time resonate with the world (macro universe). I believe, this is the spiritual harvest that I generated from serving in the Education Workshop. 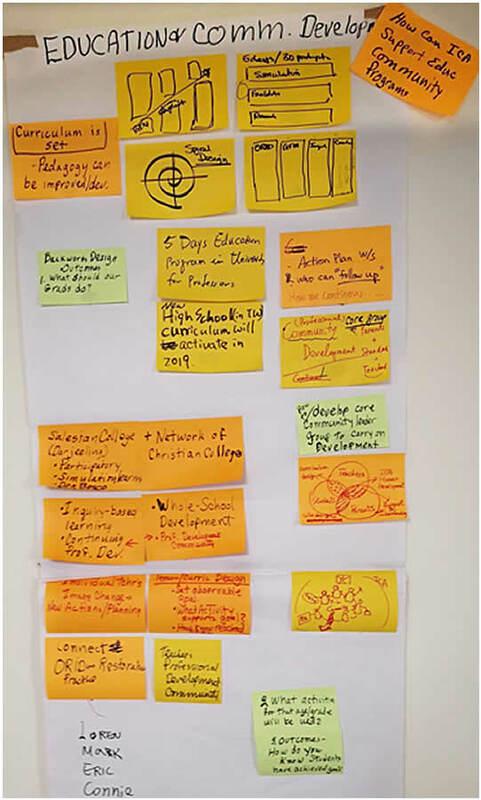 (November 10-12, 2018: Social Impact of Education as Social Pioneers Workshop of the ICA Asia Pacific Regional Pre-Conference). 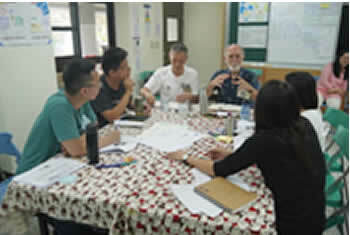 Steering group and volunteers from the United States, Taichung, Taipei, Kaohsiung and local Zuojhen District were preparing for the workshop beforehand. Principal Lee devoted to Community learning for regenerating cultural identity and community vitality . He made a welcoming remarks at the beginning of the event. Dr. Loren devoted lots of time working with steering group. He also took part in the workshop as the participants. Evelyn, Robyn and Loren led participants sing ICA’s most popular song. Then Australian facilitator and also educator Robyn demonstrated how to use restorative practices in educational settings. Robyn and Yahui worked collaboratively to support participants to acquire instructional methods to apply in classroom. By using various kinds of discussing methods in workshop, participants had a great time of idea exchanges and mutual supports . 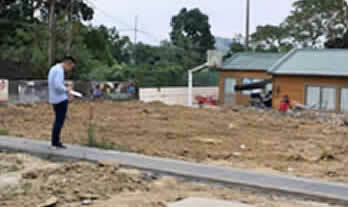 A community tour in local village which is special for its Siraya cultural regeneration. Sirayas are the earliest indigenous people in Taiwan, and they played some important role in Taiwanese history. In early November, the weather was just like summer day in southern Taiwan. 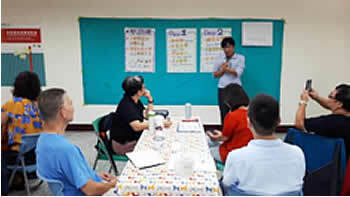 Principals of the middle school to the high school, as well as the teachers from primary to senior high school and Community University practitioners gathered at Zoujhen Elementary School, a promote village in Tainan, from North, central and south Taiwan. 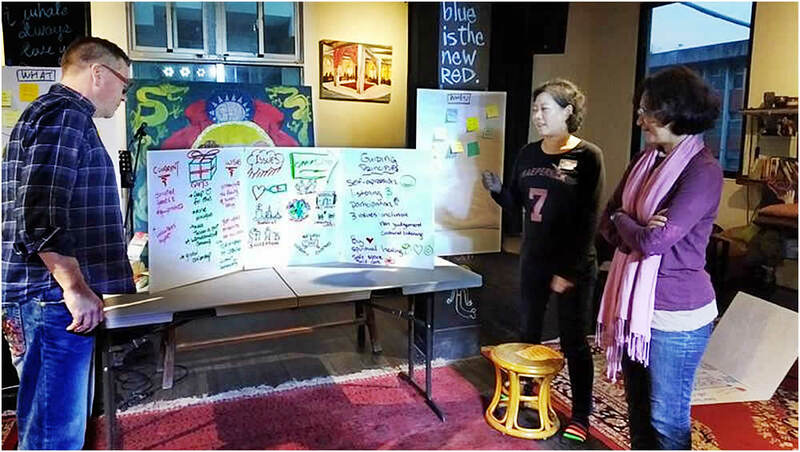 This Education Workshop took nearly 6 months of intensive preparations collaborated by Evelyn, Robyn Loren, Eric, Paulina and Yahui, grounded in previous local and rural school engagement by Yahui since 2016.Eventually, up to 35 members participated. The workshop started with an opening invitation to participating educators to trace back the teacher who once inspired his life (and be motivated to become a teacher). The opening of deep dialogue and learning that support each other's self-exploration in the group, as well as creating a safe environment supporting them to portray their image as educational pioneers. 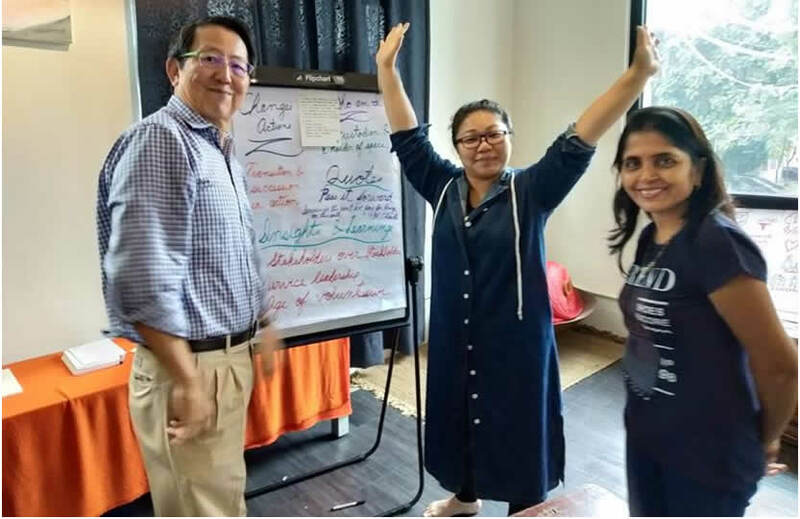 In two days of workshop, each session, to a certain degree, openly invited participants to bring in life stories and surfaced each other's life philosophy through deep listening and dialogue process, and support clarification of the value of self-professional practice through hand-on experiences on imaginal learning. In the first day Nurture Observation session in the afternoon, the teacher took a walk in silence. Walking through the demolished area in campus, some members searched for a sprouting point in plant and found enlightened to see it whispered to their inner world. The next day, we invited reflections from participants, they talked about possibility of opening up image changes through double-headed exercises (a tool for facilitating Imaginal Change created by ICA) , meditation in phenomena observation activities, plant observations and echoes of inner vision. Every day, a participant brought a real subject just happened the educational scene to the group. The first day was a school principal from neighboring village . He had just finished visiting a student’s family whose father died in an accident and therefore suffered from financial problems. The school principal shared this story while making his self-introduction. He also expressed his worries and despair publicly. The next morning, a teacher received a message of her best friend’s death and fall devastated and couldn't stay in workshop and left instantly. Members in the workshop also co-sensed and emphasized these unexpected trauma. It is seems shared emotions and feelings of these accidents conveyed a profound connections that turned the workshop (a classroom environment) into Field of Life. At that time, we were aware of our emotions, mixed with loss and regret. We asked ourselves, “how to invite people to share and express this kind of emotions and learn together? We will practice one of the dialogues in the afternoon of the next day, and we could learn to practice how to meet despair and loss?” Then we took this as a focus question and then designed a process to lead the conversation. The three days’ event were successful because of comprehensive supports from Zoujhen elementary school faculty. The third day is a community visiting tour that was organized by Zoujhen elementary school. 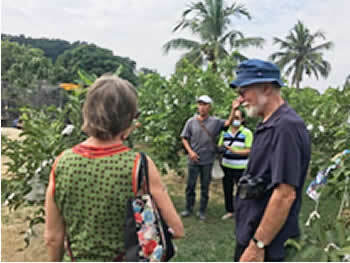 We visited a small farmer devoted to natural friendly farming and a gardener committed to preserve rare and valuable plant species, and finally an agricultural Co-Op. After the tour visit, Education Team member returned to Zoujhen elementary school (where the workshop was held) and donated some money to support transportation expense of school bus and also to the family in need. Principal Lee immediately contacted that principal and also offered more support for applying for emergency assistance. After the end of the circle, the workshop was implemented and finished. Nevertheless, encounters with deep loss and that surfacing real life issue and struggles, were embedded into teaching practices and no longer staying out of the way. Teachers were enrolled and motivated to "being present" and "being now", furthermore, transient their education actions to more collaborative and empathetic actions for hope: Heading towards to a teacher's image that desired to become a social pioneer with tender heart. Two weeks after Education workshop, the first author Yahui was injured on the way to school she worked for. The accident called forth her immense sense of pain, also recalled the memory of a similar accident happened when she was a little primary schoolchild. The accident of now and memory of accident in the past raise her awareness of ‘the flow of time’. At the same she had being in the journey of developing teacher development program for two months by way of tracking hundred years of human development and exploring the calling of "education of now" and "education for the future" from perspective of Anthrophsophy. The accident seemed open a doorway, making her personal experience (from physical body and my past experience that constitute part of me ) meet her current education work in larger scale (school/regional/national-especially after Nov elections and public polls/Asia-pacific/worldwide). It is a healing process as well as a spiritual journey. 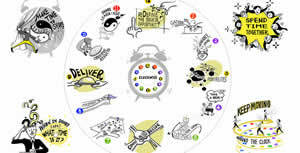 It is a stance of being grounded in thyself (micro universe) and the same time resonate with the world (macro universe). 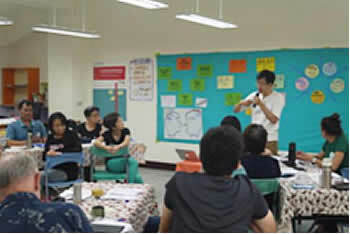 Yahui believes, this is the spiritual impulse that generated from serving Education Workshop.